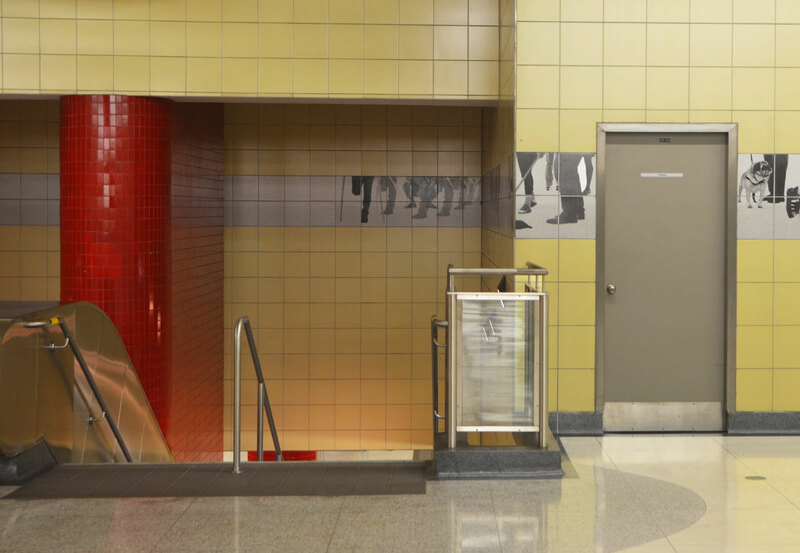 This looks like an ordinary entrance into a TTC subway station. It is. It’s Bessarion station on Line 4, the Sheppard Line. 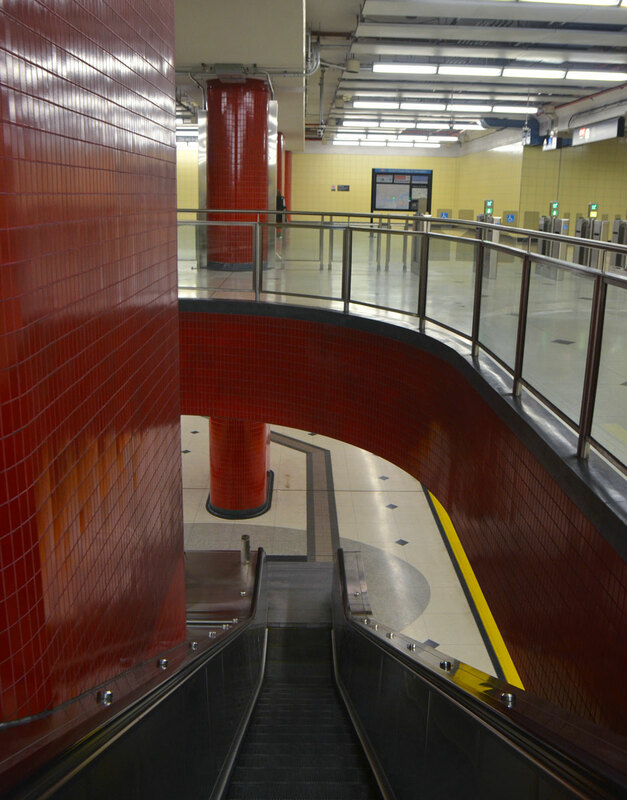 The red arrow points to one of a series of little photographs of hands that run beside the escalator to street level. 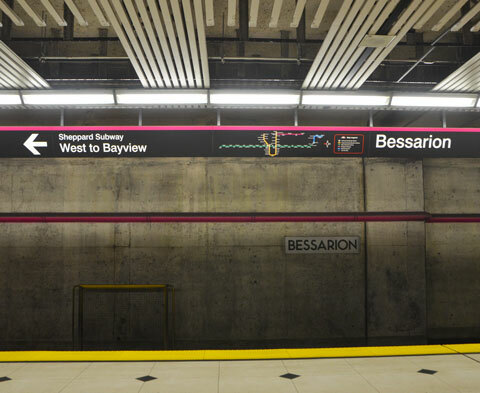 I’d be willing to bet that none of you have been to Bessarion subway station. If you’ve heard of the station it’s probably in the context of complaints that no one uses the station so why did the city spend so much money building it. One of the reasons for the low volume of traffic is that there are no bus routes (besides Sheppard) that serve this station. Apparently in 2014 an average of 2380 people used the station on weekdays. If true, then 2379 plus me where there today (although the stats may have increased since then). I took some pictures for you – you will now have an idea of what the station looks like without having to go there. 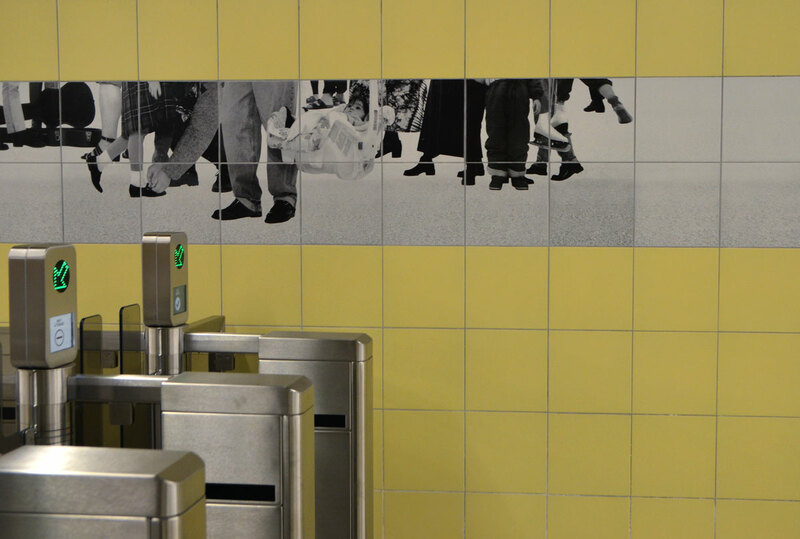 below: An art installation called ‘Passing’ dominates the yellow walls of the station concourse level. It consists of a band of black and white photographs of legs and feet taken by Sylvie Belanger. The little pictures of hands that I mentioned at the beginning of this blog are also part of this installation. 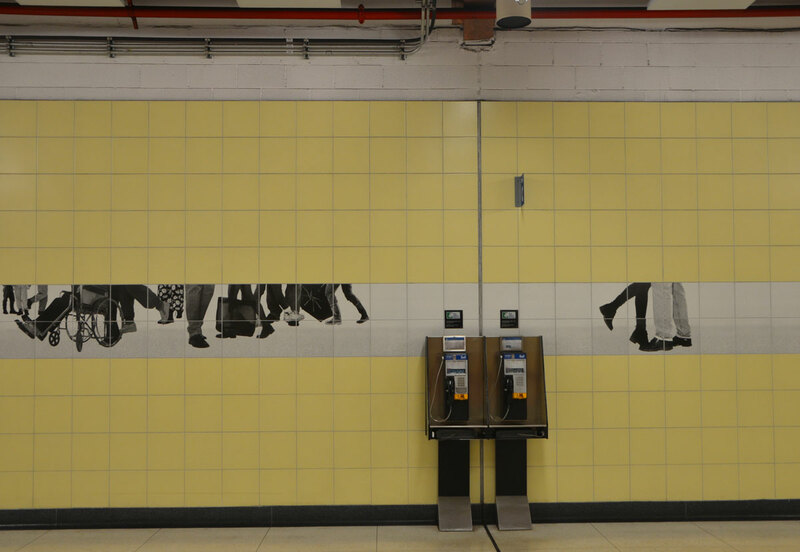 below: The pictures of legs and feet run around the whole concourse level of the station. 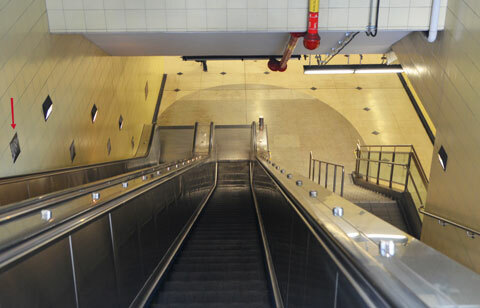 below: Down the escalator to the lower level. below: I was not alone! 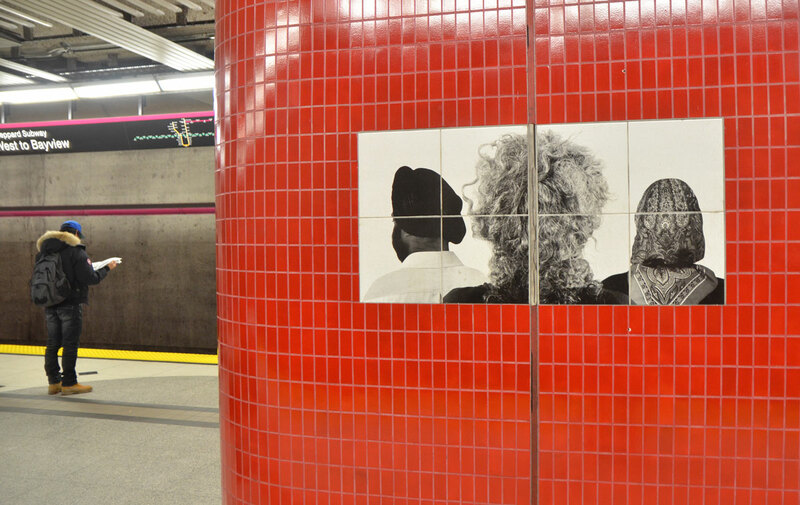 below: The artwork at track level is a continuation of the photographs by Sylvie Belanger. This time the pictures are of the backs of people’s heads and they are incorporated into the red pillars. below: The outer walls are bare concrete and there are very few ads or posters on the walls. I know about Bessarion. My daughter works for TTC.